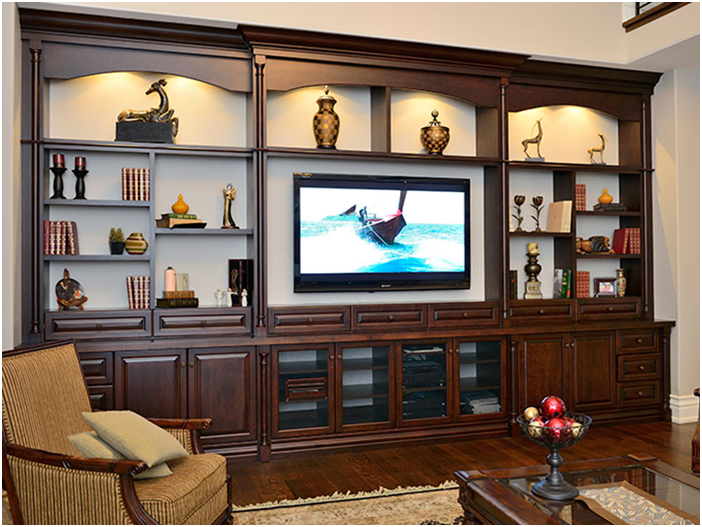 Know How to Design Your Dream Custom Built - in Wall Unit! Storage and space are some of the biggest considerations during home renovation. A great way to save space and make your house look amazing is by installing built in wall units. Luckily, Space Age Closets & Custom Cabinetry has the best custom built in wall units Toronto has to offer. Every wall unit we build has a customized fit, unique design, and is made of high-quality material. Depending on your taste, the wall units can be bold and eye-catching, or simple and sleek. They can be personalized to the smallest detail, including knobs, handles, and pulls. All our materials are high quality, and can be anything from plastic to hardwood. There are also options to add spotlights, doors, glass shelving, you name it! The great thing about Space Age Closets & Custom Cabinetry is that we offer the best manufacturing and have the most experienced designers and craftsmen, which helps us create the wall unit of your dreams. Our team knows how to optimize space, propose beautiful designs, and add more value to your home. We can help you bring your ideas to life and offer our own architectural design expertise. Together, we can work on creating great displays and focal points for your home. Our experience and diversity allows us to work with spaces and budgets of all sizes. This is why we have the most high-quality custom built in wall units Toronto offers. Space Age Closets & Custom Cabinetry delivers and installs in Toronto and throughout the Greater Toronto Area (GTA). Contact us for a free in-home consultation, so we can start building one of the best custom built in wall units Toronto has, today!